More and more self-meditators are learning some of these at home through guided meditations, Buddhist meditation retreat workshops and other sources that I will be writing about in further articles. Do not get me wrong, it will take practice to learn to meditate, however you will not have to spend your life in seclusion on the top of a mountain to gain the benefits that Buddhist meditation techniques can offer you. What Are Buddhist Meditation Techniques? In a nutshell the Buddhist Meditation is focused around Buddhism as a religion, philosophy and way of life, encompassing a set of beliefs, traditions and meditation practices that have their foundation on the teachings of Buddha. 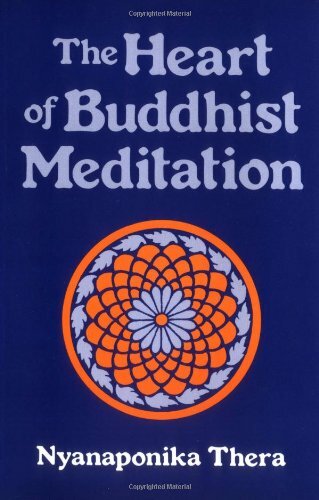 The various Buddhist meditation techniques are the center of Buddhism as a religion. One of their goals is to help to attain a higher level of consciousness which leads to an alert state of mind called awareness. This happens by allowing us to separate from our daily thoughts and feelings. 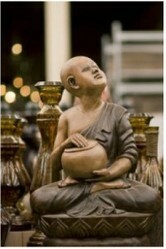 The main idea behind Buddhism as a religion is the life long journey towards Nirvana, enlightenment. Is it the main path to spiritual development, giving an insight into our true nature as human beings. This ancient religion was formed based on the main teachings of Siddhartha Gautama, who was the first person to be called Buddha, which really means 'the awakened one'. In our Western world we use the notion of 'awakened' equal with enlightened, which is something that real Buddhist meditators are trying to achieve through many years of meditation. However, while many people associate it with Buddhism as a religion, pracing it doesn't have to be religious in nature. We can get the benefits simply by practicing any of the techniques such as Anapanasati meditation, or Vipassana meditation, which are in fact quite easy to learn. There are people who do try to make them harder than they actually are, but it is a fact that everyone can learn it. Of course by practicing it on a regular basis, faithfully and with devotion, we all can become enlightened and attain mindfulness in our lives, just like Buddha achieved as well. For the rest of us, it simply means that we will achieve a calmness in our minds, a still of the mind that we will find quite welcome, as opposed to the rush of all those nonsensical thoughts that we experience throughout the day nonstop. Many people practice Buddhist meditation in a group during a retreat or in a meditation room that is catered specially for such groups that meet on a regular basis to meditate. While there are people who prefer meditating on their own, others prefer the group setting. If you don't mind spending quality time with like-minded people, you might enjoy group sessions and you might find some great friends in the process as well. When you are practicing Buddhist meditation, one of the first things you will find is that your concentration will be more developed. If you are in college or studying anything, you will be able to focus much better on your studies and you will be more attentive in class. This is because your mind will get clearer from distractions. Also you will find it much easier in your heart to feel compassion, love and kindness towards other people. You will feel it easier to forgive. Eventually you will realize that your mind, body and soul or spirit is in a perfect harmony, in a balance that is the natural state of things as they should be. Finally, you will realize that your will have total control over your mind instead of it being in control with its endless chatter all the time. What is the goal of Buddhist Meditation Techniques? The main goal of this set of techniques is to free your mind from worries and daily fears and chit chatter, so that you no longer feel any cravings for material things and physical objects surrounding you, or things that you want. The interesting thing about this is that you are aware of everything throughout. You are aware of your mind's chatter and you are aware of it decreasing over time. Also you are fully aware of how your mind starts to let go of its hold on 'things'. However you do need to practice it on a regular basis to achieve good results. You cannot expect to do a meditation session once a week and see results right away. But think of what you will be able to achieve eventually: a state where you will be completely relaxed, calm and stress free. You won't have any worries surrounding your mind. For a short time you will almost experience something called bliss. I call it total relaxation, or total happiness. will meditate. It is a healthy catch 22. Have you ever noticed how our mind has a life of its own and it can make use happy one moment and truly miserable another moment? All it needs is to remember of something worrysome that might or might not happen, and your good mood is just about gone. We usually find that it's much easier to become unhappy than to become happy. Can you relate? I surely can. It is the way the mind words, it's like it feels a responsibility towards us to remind us of all the personal problems or that of the world surrounding us. Due to the modern way of life full of stress and problems (many simply created in our minds), at least 80% of the day we are morose, busy, tired, angry, anxious, full of worry, sad, or needing something that we cannot have. And then we have those few moments throughout the day when something happens and we're in a good mood again, we say we're happy. But how easy it is for those few moments to get replaced - again - by our usual black mood. By regularly practicing the various Buddhist meditation techniques, you will notice that your negative thoughts will come less and less often in your mind, they will not be so quick to intrude when they are not welcome. Finally, here is another aspect that this can help with, which also relates to our mood. Due to our materialistic society, we are becoming very excited and happy about things we get - for birthdays or other occasions, or a new partner, or any other possessions that we can get hold of. Once the novelty wears off, we're back to negativity. Have you noticed this? I know I have. Through practicing Buddhist meditation techniques, by eliminating this need for possessing everything and everyone, we become automatically happier because we will let go of attachments from our mind. We will finally be able to be look at a beautiful sunrise or sunset and smile, simply because. pure, and he became fully enlightened at the age of 35. The reason why he got this name is because he had a deep realization about life, death and our existence in general. He lived 26 centuries ago in what is now known as Nepal. Gautama discovered at the young age of 29 that a lot of suffering was going on in the world. As a prince, during one of his visits to the city, he was shocked to see all the people suffering around him and not knowing how to help them, he went on a spiritual quest, leaving his family behind, so that he can find the answer that he was seeking for. After a long quest of him studying under various teachers, following their practices and still not finding what he wanted - the truth about the world and how to help it, he went one day to sit under a Bodhi-tree and decided that he would keep sitting there until he found the truth and found how to help everyone around him. It took him a short while until becoming fully enlightened. Buddha got rid of all the negative in himself and let only the positive to light his soul, his very being. "I teach about suffering and the way to end it". Do You Practice Meditation? If Yes, What Kind? Yes I am learning meditation at present. I love your article very interesting. I meditate often. I find it really calming and relaxing. This was very informative.